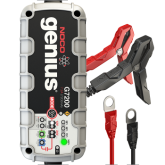 The GENIUS2D is a 2-amp direct-mount battery charger and battery maintainer engineered to be securely mounted nearby the battery. 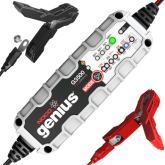 It's designed for all types of 12-volt lead-acid batteries, including flooded, gel, AGM and other maintenance-free batteries. 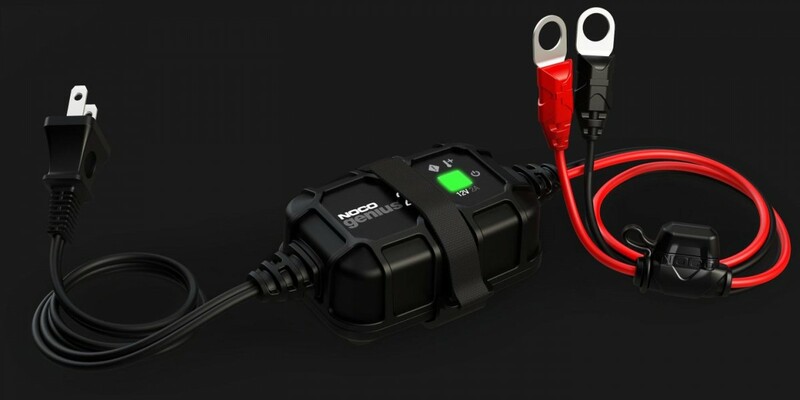 It features our all-new hyper-density technology making it the most compact, lightweight and energy efficient battery charger on the market, plus an integrated thermal sensor for improved battery life. All-new next-generation battery charger with hyper-density technology (HDT) - now smaller, lighter, and with improved features to increase battery life. 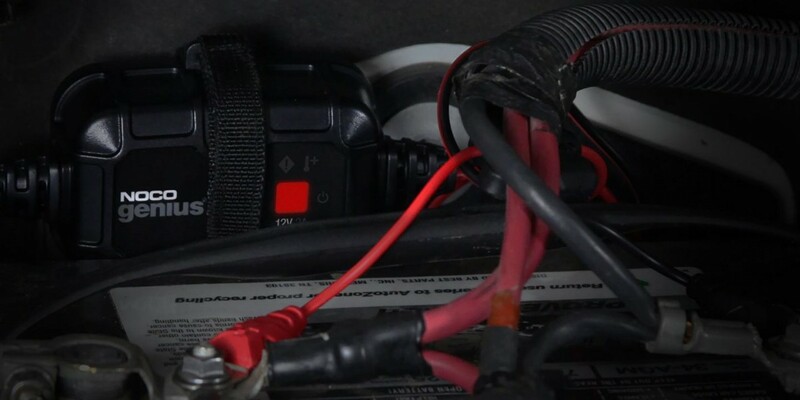 Designed for 12-volt lead-acid batteries, including most flooded, gel, AGM, and maintenance-free, as well as automotive, marine, RV, and deep-cycle batteries. 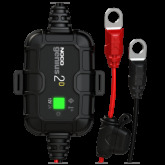 The perfect battery maintainer for daily battery maintenance or long-term storage of cars, boats, trucks, RVs, and equipment, plus suitable for charging ATVs, wave runners, lawn mowers, and more. 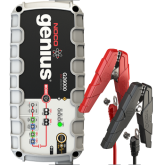 Engineered to be securely mounted nearby the battery with its rugged snap-fit mounting bracket and effortlessly installs into most materials with truss-head self-tapping screws. Integrated thermal sensor to maximize battery life and automatically compensates charging for both cold and hot environments. 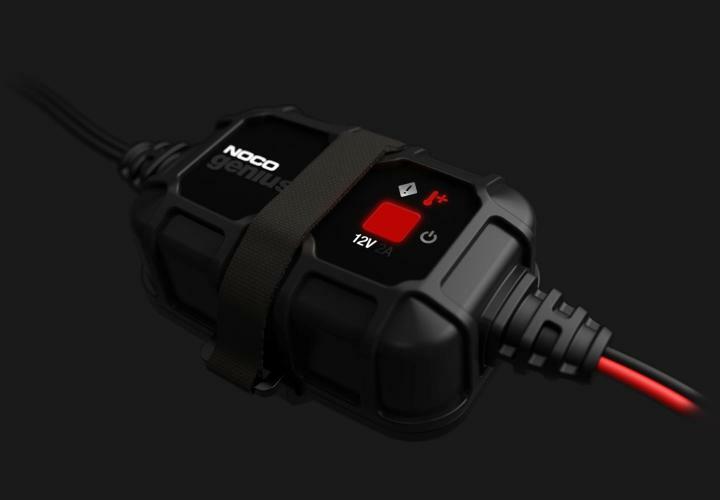 Enjoy countless hours of safe charging without any risk of overcharging your batteries, plus additional safety like spark-proof connections, and reverse polarity protection. 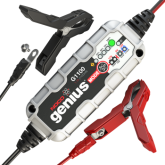 Includes a 2-amp direct-mount battery charger and battery maintainer with a 24-inch Type-A A/C cable and 24-inch D/C cable with eyelets, plus a mounting bracket, self-tapping truss-head screws, and user guide, plus a 3-year hassle-free warranty. Engineered and tested to withstand rugged working environments, like high-heat engine compartments, shock, vibration, and even water exposure. 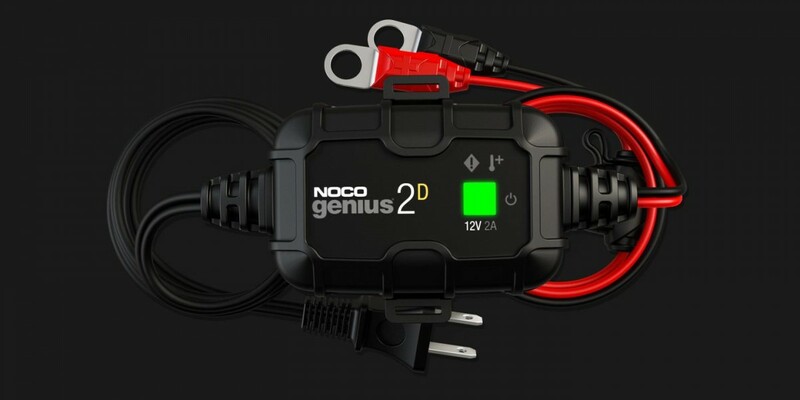 The GENIUS2D is the ultimate mountable onboard battery charger and battery maintainer for any car, boat, truck, RV, or equipment, and designed to be located in close proximity of the battery. Charge faster, safely maintain indefinitely. This isn't an ordinary battery maintainer. We go beyond traditional maintenance charging to provide the highest return of charge that not only extends battery life, but also performance. 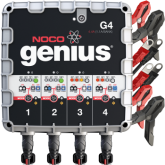 With Maintenance Plus, it uses a proprietary charge algorithm to optimize the specific gravity of the battery, plus actively monitors battery activity and quickly refills any lost capacity every 24-hours. The result, longer battery life by proactively limiting the battery to sulfation exposure. The next generation of charging. 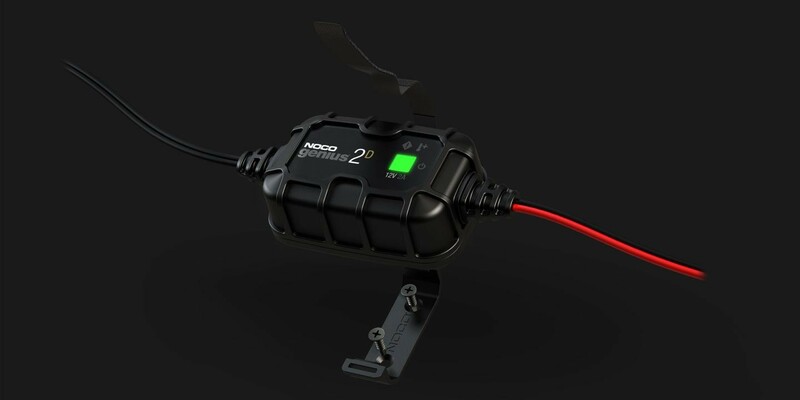 Introducing the next-generation of battery charging with the all-new hyper-density technology (HDT) this smart charger has insanely high performance and it is designed to be the most compact, lightweight and energy efficient charger on the market. 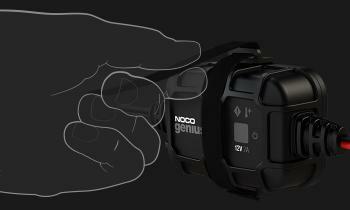 Using advanced power conversion topologies as its foundation, the Genius 2D has significantly increased the power-to-space ratio utilizing power magnetics, consolidated components, and innovative thermal management techniques. Dynamically adjusts for changes in ambient temperatures. 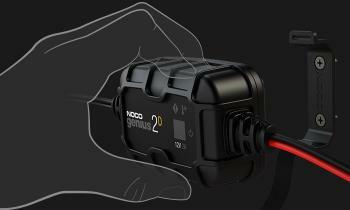 With our innovative thermal compensation, the GENIUS2D uncovers new heights in charge performance. 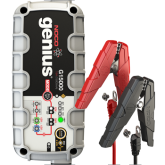 The GENIUS2D now features an integrated thermal sensor that automatically monitors and adjusts the charging cycle based on fluctuations of ambient temperature and enabling it to provide more precision charging in both hot and cold climates. 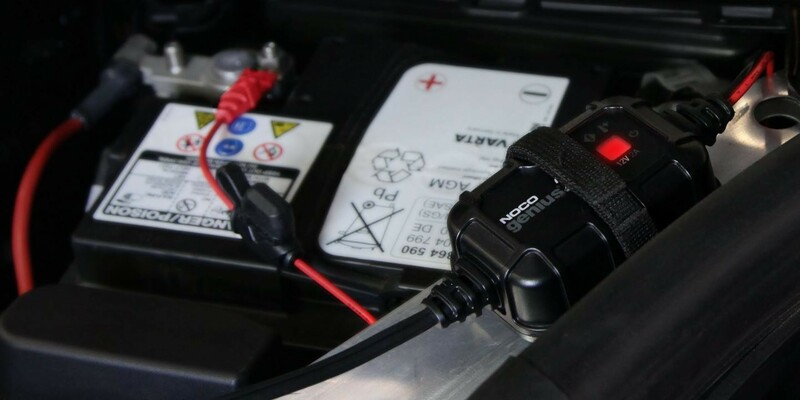 Not only does it increase charge performance, but it improves battery life by limiting the impact of under-charging or over-charging caused by temperature changes. So now when you are charging in cold temperatures, the charging rates increase, and when in hotter temperatures, the rates will decrease. The result, better, more accurate, fully-charged batteries. Smart battery chargers can be frustrating. Welcome to Advanced Diagnostics, which analyzes battery feedback and displays a particular error pattern if a problem is detected. Each flash pattern tells you what's wrong, and how to quickly fix it. Understanding and finding a solution is just as critical. 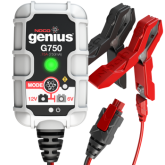 It won't simply begin charging if it detects a weak or damaged battery, and Genius 2D won't force charge your battery if it detects an unsafe or abnormal charging condition. But prevention is just one aspect. Single Flash: Battery will not hold a charge. Double Flash: Battery has a short. Error LED Solid Red: Reverse polarity connection. Standby LED Solid Orange: Battery voltage is too low to detect the battery. High-Heat LED Solid Red: Ambient temperature is too high. Use a drill to secure the mounting bracket using self-tapping screws (included). Loop the velcro mounting strap into the mounting bracket. 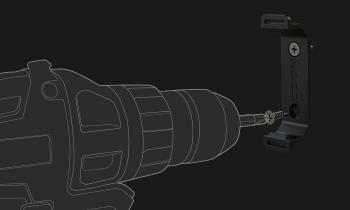 Clip the Genius 2D charger into the mounting bracket. 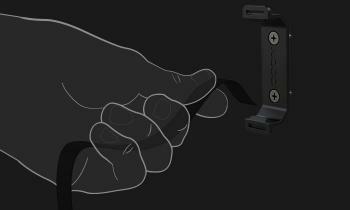 Fasten the Genius 2D charger using the velcro mounting strap. 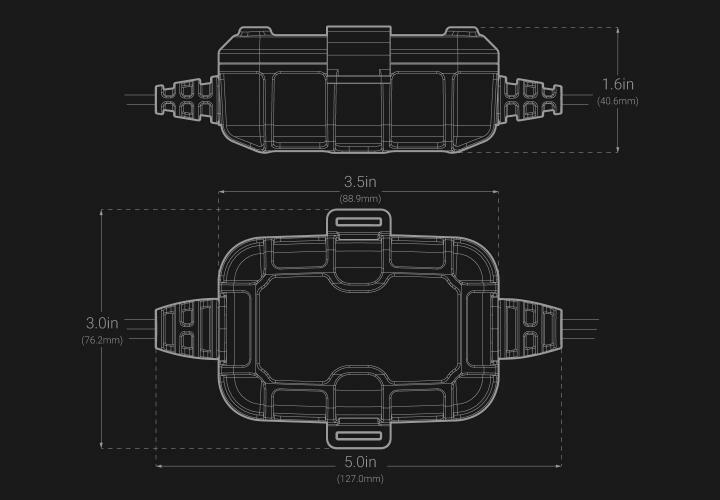 A mix of electrical engineering and industrial design pack a powerful battery charger into a tiny footprint. 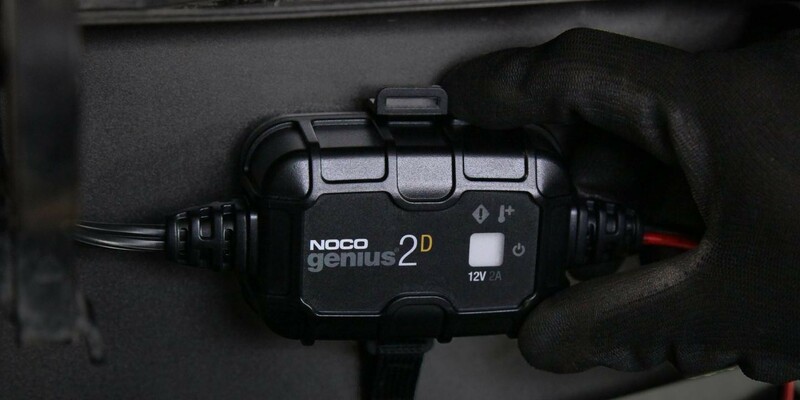 Genius 2D uses high-frequency switch-mode technology to efficiency convert A/C power into safe D/C power for battery charging. And its onboard microcomputer precisely controls the charging to minimize power loss to create an incredibly compact form factor.